We want to recognize the outstanding philanthropic work done by the following organizations and corporations. Through working with these collaborators, we are able to bridge our work and collectively focus on ending the stigma of depression and educate on the importance of mental health. We invite you to click on each logo below to learn more about the tremendous work that they are doing. Want to get involved with us? Please email info@ifred.org. 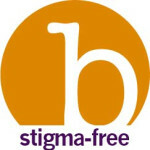 B Stigma-Free™ is a non-profit organization working to reduce stigma. We aim to foster understanding and respect of people perceived as having a difference, such as an attribute, trait or disability. Through education, advocacy and community engagement, we partner with others who share our commitment to eradicate bias and prejudice. Choices mission is to provide fascinating, information-rich articles covering teen health and life-skills that will equip students to make positive and informed decisions on the most pressing issues in their lives. iFred supported Scholastic’s Choices Magazine to launch a stigma busting depression resource to 17 million kids with an article on teen depression, as well as an online toolkit reaching students, teachers, and parents providing resources, signs, and prevention tools. The article published in the November/December issue, entitled, “We Have Depression” written by teens, features the stories of four classmates on their depression and how they each cope, treat, and help others. Project Helping uses volunteerism to empower those suffering from depression to speak up seek help. Depression affects millions, 80% of whom don’t seek treatment because of the associated stigma. This has an vast impact on their families and our communities. Through organizing and executing group volunteer events, we offer people an opportunity to be part of a community of peers who empathize with the effects of the disease while also reaping the health benefits of serving others. A Child Unheard Foundation is a registered charity working to improve the lives of children in Africa. A Child Unheard Foundation wants to help improve the lives of the children by providing them with a safe and caring environment in which they can develop. The centres opened by the foundation provide free education to young children. The first centre has been opened in Mityana, Uganda and it is hoped that many more centres will be opened in the future. The centres are based on the core values of the book, A Child Unheard written by David Russell. KidGuard for Nonprofits aims to partner with nonprofit organizations around the world supporting defense of children at risk due to digital causes. We partner with nonprofits via direct funding, introduction to donors, and technology support. KidGuard also selects organizations proactively working to improve child safety and parent education across high risk technology issues facing kids such as Cyberbullying, Sexual Predators, Teen Depression, Substance Abuse, Social Media usage, and many more.